Somewhere right now Tron guy just jizzed in his pants. 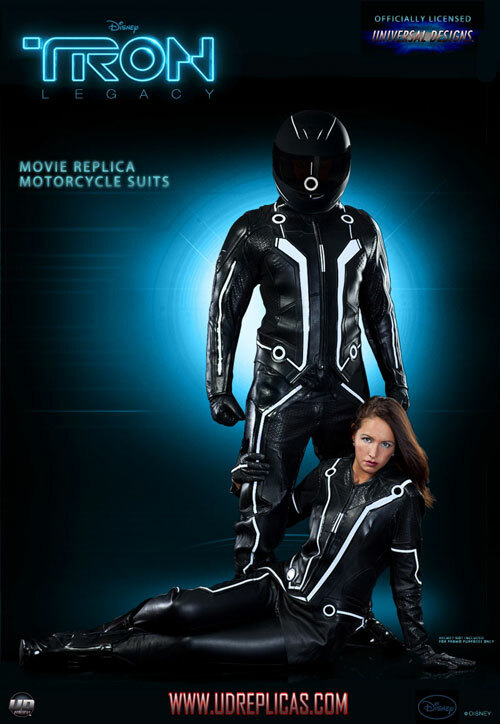 UD Replicas has unveiled its latest replica motorcycle suits and this time they feature designs from the new Tron flick set to launch soon. The guy’s suit is based on the Sam Flynn suit in the movie and the ladies suit looks similar. The suit features CE approved body armor, form molded leather detailing, light reflective accents, and heavy duty stretch spandex. The suit has a silicone hexagon print and a form molded leather disk. The suit comes in four different pieces. Acer has been in the netbook business for years now. Sales of netbooks are slumping as tablets and full notebooks are doing better now that the worst of the economic slump is behinds us. 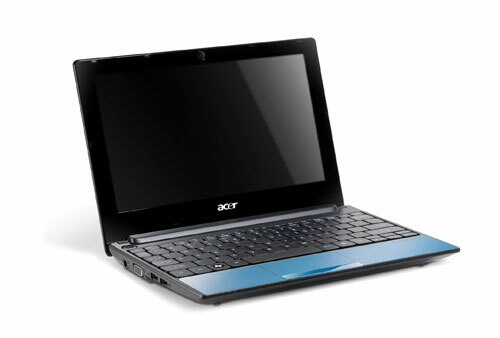 Acer has announced the addition of a new netbook to its line. The new machine is called the Aspire One AOD255. Acer will offer the machine with either an Atom N450 single-core CPU or a N550 dual-core CPU inside. The machines will both support DDR3 and get 1GB of memory standard. Storage for the machine is to a 250GB HDD. Over the years, I have laid eyes on some strange casemods and have seen more than one machine that was submerged in oil. A new casemod has surfaced that has a Bioshock theme. 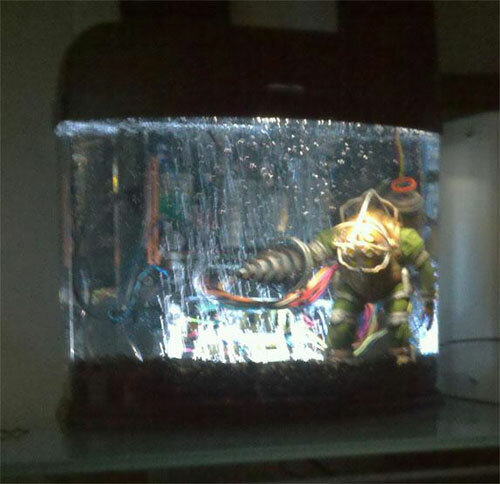 The builder uses an aquarium to put his new HTPC under four gallons of mineral oil. The mineral oil is normally used as a laxative for horses apparently. The mainboard and PSU are mounted to a clear plastic sheet and placed into the aquarium. The only hardware part not under the oil is the HDD. The maker rounded the design out with a bubble filter, gravel and a few other things. Hitachi has unveiled a new family of HDDs that are aimed at use in mobile devices like netbooks and notebooks. The new drives have 750GB capacity and they will be offered in 5400-rpm and 7200-rpm versions. Each of the versions has the same platters inside. 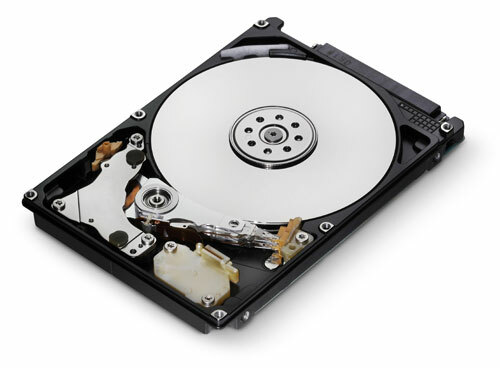 Those new platters have 375GB per platter and allow the high capacity HDDs to fit into a standard 9.5mm form factor. The drives are also resistant to shock that mobile devices will encounter. The new drives are also the first from Hitachi to use Advanced Format with larger physical sector sizes to help use the storage area more efficiently. I would bet at one time or another we have all loaned someone something and had it returned with damage. That is frustrating and the least we expect from those who borrowed it is to fix it for us. That is just want one guy did. As the story goes, a dude loaned a DSLR to a pal and while the pal had the camera, the control wheel was somehow lost. Rather than return the camera broken, the dude who borrowed it set about crafting his own replacement. I never really thought about how heavy equipment gets to remote locations. For instance, the giant cutters that they use logging when they are miles from a paved road. That stuff has to get there by helicopter often. The problem is that the most powerful helicopter today can only lift 20 tons. Really heavy equipment simply can’t get where it’s needed at times today. 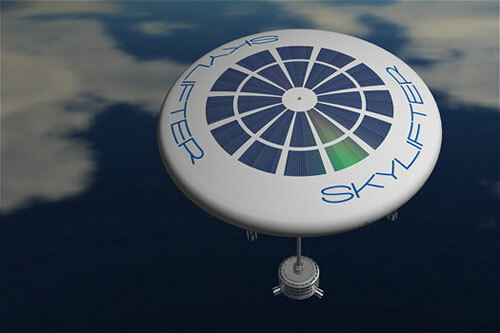 A company called Skylifter has unveiled a new way to transport up to 150 tons of gear. Back in 2007, many will recall that the batteries in notebooks were seemingly blowing up at random around the world. One guy has a MacBook with a Core 2 Duo inside that blew up and damaged the machine so it wasn’t usable. 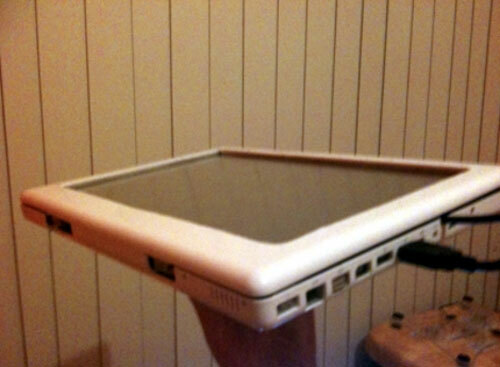 The geek decided to use that machine for a DIY tablet project with some cool results. The tablet he turned the MacBook into still needs some more work on it, but it is operational. The guy integrated a touchscreen and was able to use the screen with the bezel turned the correct way. Back in September the ExoPC slate went up for pre-order. The machine was pegged to ship on October 15. If you pre-ordered and have been counting the days until yours showed up at home, you have a bit more time to wait. The company has announced that a problem on the Pegatron assembly line with a piece of automated equipment that was using too much force to install the touchscreen and causing cracks. There are a small number of 32GB machines that didn’t get cracked screens. The machines that were ok will ship during the week of October 18. NVIDIA has had problems over the last few years with some of its GPUs being defective. This was a widespread issue in 2008 and 2009 with GPUs failing in notebooks from HP, Dell, and Apple. Throughout the entire class action against NVIDIA, the company has maintained its innocence in the issue with the machines. NVIDIA has finally agreed to a settlement with the company makers and consumers who purchased notebooks with defective MCPs and GPUs. The settlement terms are different depending on the machines. Owners of Dell and Apple notebooks that are affected will get a replacement GPU. 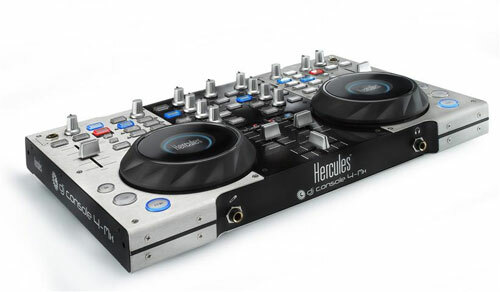 Hercules has unveiled a new tool for the pro DJs out there that is called the DJ Console 4-Mx. The thing is crammed full of features and has a surprisingly reasonable price considering it is pro level DJ hardware. 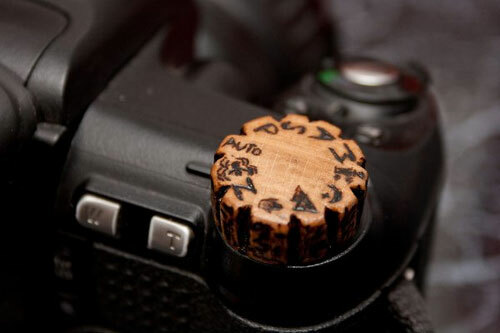 The device has dual jog wheels that are 4.7-inches in diameter and three fourths of an inch tall. The 4-Mk can be used in both 2-deck and 4-deck modes. When in 2-deck mode the console has 89 controls and when in 4-deck mode the console has 150 controls. The job wheels also have detection sensor that detect the weight of a hand. I like a nice concept product because it lets us have a glimpse at what the gadgets of the future might look like. I have no doubt that at some future date solar power will be the main means of powering all manner of electronic devices. 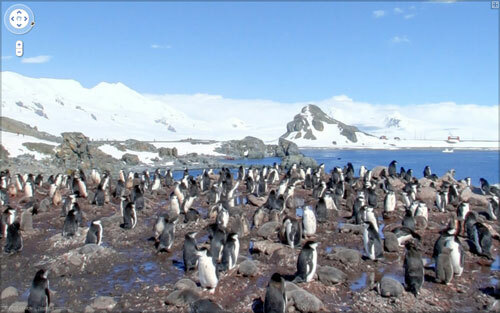 Today isn’t that day though with solar panels that are generally unable to power much of anything quickly or for a long time without room for a very large solar panel. 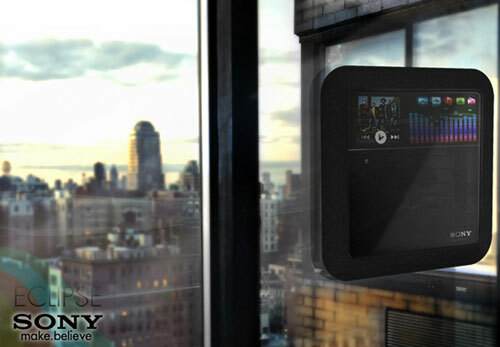 A new concept media player has surfaced that has the Sony brand. It’s not an official Sony concept apparently and it is called the Eclipse. The Eclipse has a solar panel on the back that gathers all the power the thing needs to operate. 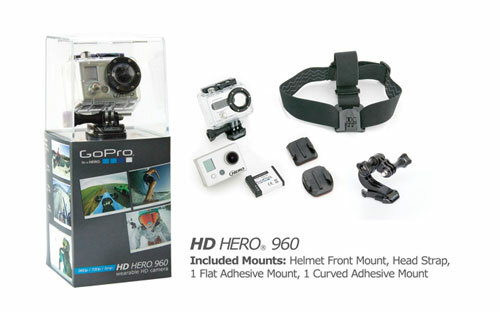 It has integrated speakers and a touchscreen for viewing video content. Super Talent has a gob of different flash drives and external storage devices that cater to the needs of many different user types. The latest product that the company has unveiled is a flash drive that is designed to go everywhere with you, assuming you have your keys. The flash drive is called the CKB and it is made to fit onto any keying with a large opening that will fit even the fattest key rings. The drive comes in black or silver colors and can be had in multiple capacities. The USB connector is exposed to the elements, but the drive has a rugged design. I am not a big fan of AT&T most days, my iPhone drops calls and I have had nightmares trying to get a new iPhone 4 so far. 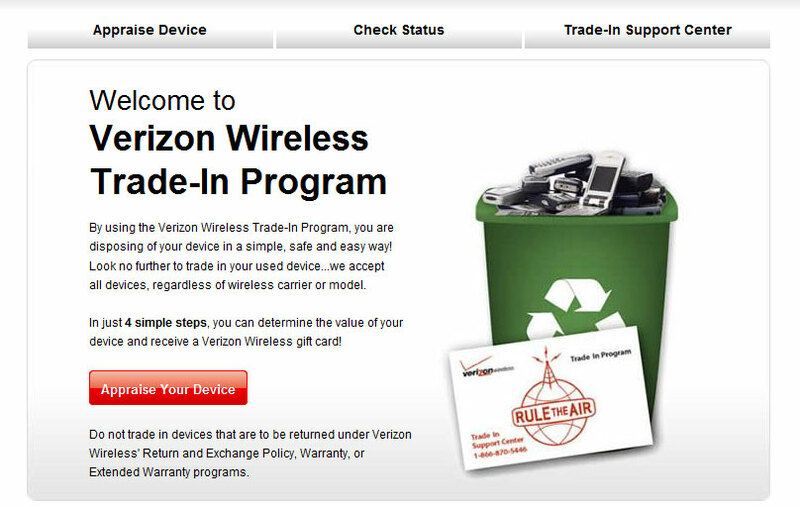 If you are tired of AT&T or another carrier and want to move to Verizon the company has a new trade-in program that you may be interested in. The program will let you trade in any mobile phone that operates on any carrier. The phones will be accepted whether they work or not and the price given depends on the condition and what they are. My cracked screen iPhone 3GS is worth a crappy $12 and even if the screen was whole, the price is only about $20.